Knicks fans, we may have finally found our savior. 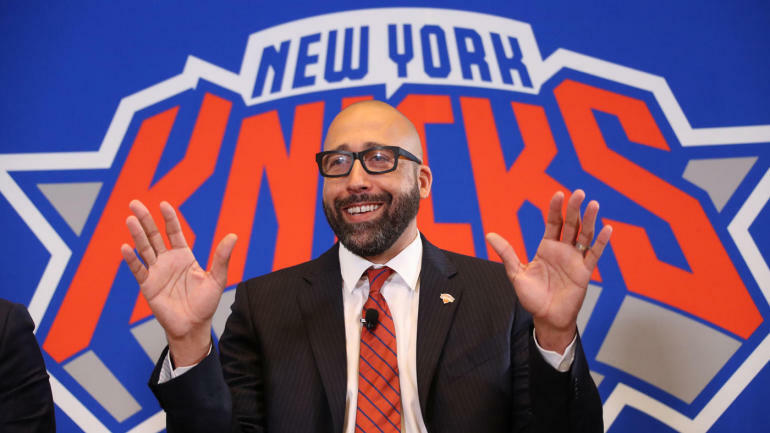 Yesterday, the Knicks hired former Heat AC, and Grizzlies HC David Fizdale to a four year deal to become their new head coach, and I love the move. First of all, if there is anyone who won’t fall under the pressure of coaching in New York, it’s Fiz. This man has more confidence and fire than almost any coach I’ve ever seen, and it’s displayed on and off the court. This again is crucial to coaching in New York as coaches and players are literally crumbled from the pressure year after year… just ask Matt Harvey. Second of all, Fiz is a winner. He’s ultra-competitive, and a guy who’s fire translates directly to the players. Not to mention his MODERN basketball IQ is through the roof. This will prove huge for a Knicks franchise that’s accustomed to losing, and slow play annually. And last but not least, players love the man. He has one of the best “player to coach relationship” reps in the league and it should continue in NY. Oh and also, that LeBron guy he helped coach to two titles in Miami is a free agent… don’t underestimate that possibility.